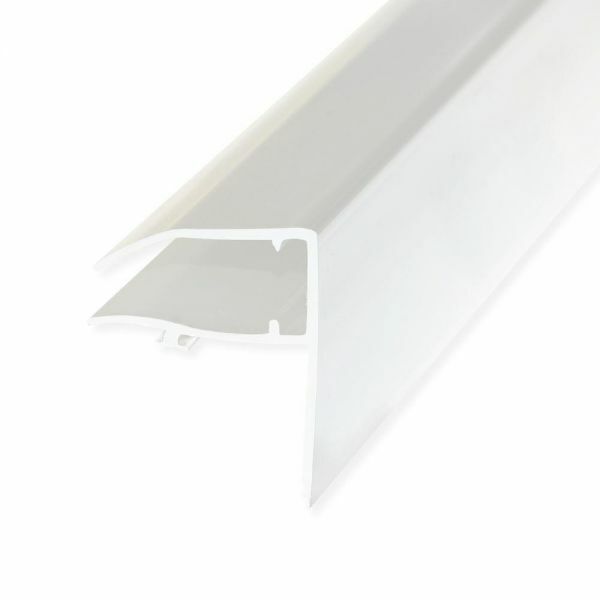 Product information "10mm Universal Edge Trim"
Our high quality, maintenance-free range of F-Profile uPVC plastic Edge Trim provides protective finish to open edges of Snap-Tight glazing bars. Used with Main Bars to provide neat finish to end rafters of Lean-To and Gable roofs. The Edge Trim is used in conjunction with the standard Main Bar. To fit, remove the Main Bar Top Capping and rubber EPDM gasket from the open edge of the aluminium Base Bar. The open side of the Base Bar has two locator tracks, which the Edge Trim's legs lock into. Simply hook the Edge Trim's outer leg into the inner track. Then slowly push the trim towards the Base Bar and the Edge Trim's inner leg will lock into place in the outer track. The Top Capping can then be fitted as normal. Related links to "10mm Universal Edge Trim"
Customer review for "10mm Universal Edge Trim"